R Venkat occasionally receives encrypted PDF files. Once the files are safely in his PC, they don’t need that protection. How does he remove it so he can more easily open the file? There are times when a PDF truly needs encryption—for instance, if it contains sensitive information and someone just emailed it to you (let’s hope they used another communications method to send you the password). Once on your internal drive, this file should still be encrypted. But if you keep your sensitive files in an encrypted container, or if you’ve encrypted your entire drive, the file’s own built-in encryption is just an inconvenience. So here’s how to remove it. The simplest route requires a PDF printer driver. 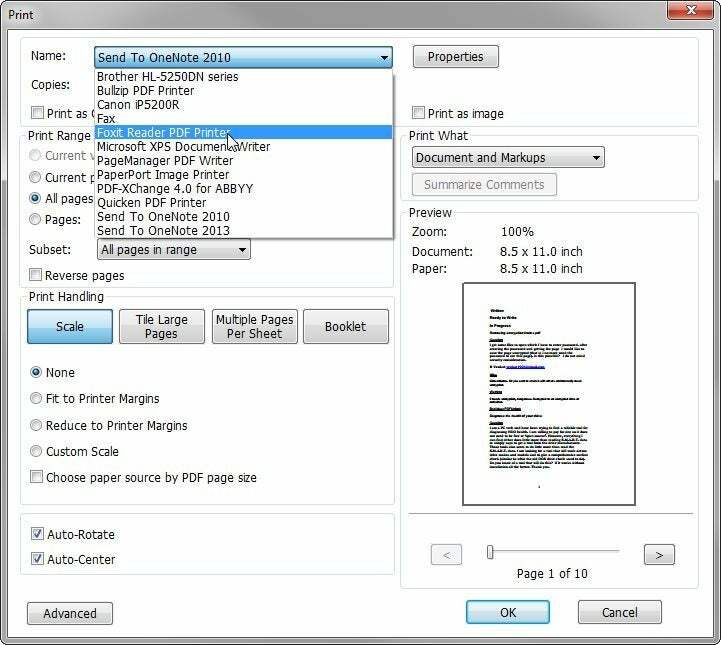 This is a program that appears to Windows as a print driver, but instead of sending data to a printer, it creates a PDF file. Check your printer drivers—you may already have one installed. If not, there are plenty of free ones available. 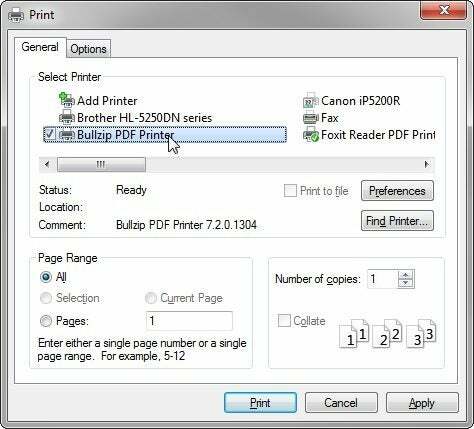 I use BullZip PDF Printer. By the way, when you install BullZip, you’ll be asked to install three other programs. These aren’t PUPs; they’re tools that BullZip actually needs to run properly. You’ll also need a PDF reader other than Adobe’s, which blocks this workaround. I recommend Foxit Reader. Load the file into Foxit Reader, entering the password when prompted. Then press Ctrl-p to print the file, and print it to your PDF “printer.” You’ll get an exact copy of the original, but without the encryption. You can also find cloud-based free tools, such as PDFUnlock. But why run the risk of downloading the unencrypted version from a website if you don’t have to?